Sandyvale’s large open expanse of lawns has historically been used as a pet recreational facility. 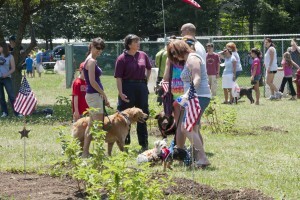 So in response to a growing community need in 2011, Sandyvale opened its gates to the area’s first official dog park with funding from The Community Foundation for the Alleghenies, Erie Indemnity Group, Mullin-Wilson Family Fund and the City of Johnstown. Training seminars, agility sessions, dog walks, “Yappy Hour” and other related events are offered during the summer months. Dates for these events will be posted as they are scheduled to occur.